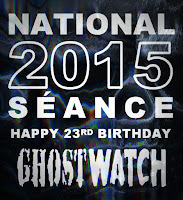 National Séance 2015 is finally here! Almost! Just a month to go, now. Not only is it the show's 23rd Anniversary, but also our fifth live, globe-spanning, genre-redefining, occasionally-over emphasising event. To mark this special occasion, we've a lovely new banner for you to feast your cat-scratched eye sockets on. Look. Isn't that nice. As always, the time and date to mark in your calendars is 9.25pm, Saturday (ooh, just like the original) October 31st. The best photos and Tweets of the evening shall be showcased right here on the blog, soon thereafter. If you like. For the uninitiated, once a year, Ghostwatch fans worldwide play their DVD and VHS copies of the film simultaneously, to simulate a repeat screening (yes, we're still waiting.) We then comment on the proceedings via Twitter and Facebook. It's that simple. But surprisingly effective. And often, a bloody good laugh. The hashtag to remember is #Ghostwatch, and if you click the mini poster above, it should take you to a live Twitter feed to help keep track of all the messages as and when they come in. In related news, erstwhile Corrie Cobbler, Craig Charles shall soon be donning his iconic dreads and leathers for Red Dwarf XI and XII. 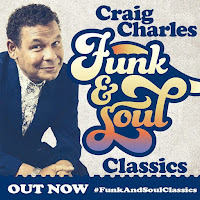 In addition to which, the man/myth/DJ also has a new album out entitled, Funk & Soul Classics, that from the playlist, contains at least one Sam & Dave track, which surely makes it a must-have. 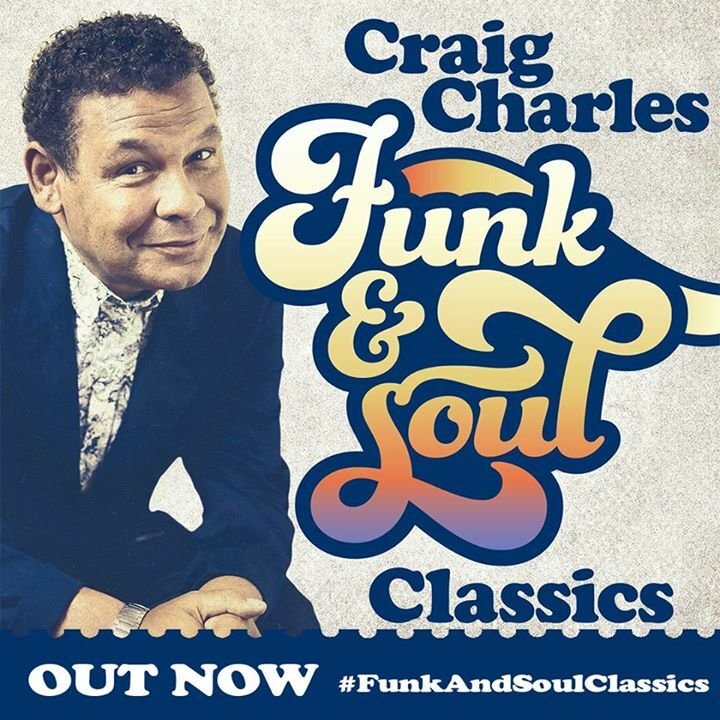 The circular, shiny slice of digitally-encoded, reflective plastic is currently available from all good stockists, as per. Also fast approaching to mark Hallowe'en, is Craig's brand-new, live poetry recital, 'Scary Fairy' which is set for broadcast during Radio 2's very own Fright Night on October 30th, as ably orchestrated by BBC Philharmonic. The first part of Stephen Volk's new three-part series, Midwinter of the Spirit has debuted on ITV. The second shall air this evening at 21:00. You can also catch the previous show on the ITV Player service for a limited time. Thumbs have been repeatedly upped in the initial wave of reactions, so don't miss it if you're up for a quality fright. Lastly, you now have approximately two weeks if you're thinking of snapping up the last remaining seats for Miniclick's upcoming Ghostwatch screening and live Q&A at the Duke of York's Picturehouse cinema. In attendance will be Stephen Volk, Lesley Manning and Rich Lawden, chatting all things Foxhill Drive along with a plethora of fellow Ghostwatchers, in sunny Brighton. Tickets are available on the event's website, miniclick.com.